While it didn't seem like we had much of a spring in the Washington area, summer's unofficial start — Memorial Day — looks like it's going to see some serious rubber-meets-road action. Which means delays, delays and ... more delays. WASHINGTON — While it didn’t seem like we had much of a spring in the D.C. area, summer’s unofficial start — Memorial Day — looks like it’s going to see some serious rubber-meets-road action. Which means delays, delays and … more delays. According to AAA mid-Atlantic, more than 41.5 million Americans are planning to travel this holiday weekend. That is almost 5 percent more than 2017, and the most in more than a dozen years. While the “great escape” is one to be enjoyed, in terms of travel delays, you might as well call it the “grate escape” — AAA said delays could be three times longer than normal for some. 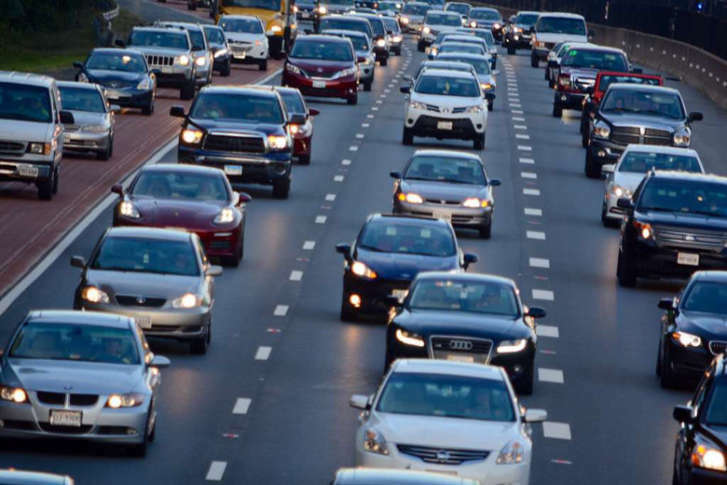 “From coast to coast, and from the Chesapeake Bay to the Occoquan River, the greatest concentration for the getaway traffic and the longest periods of travel delays will fall on Thursday, May 24, and Friday, May 25,” John B. Townsend II, AAA mid-Atlantic’s manager of public and government affairs, said in a news release. “In the Washington metro area, the worst day to travel is the Thursday before Memorial Day and the worst time to be on the road is Thursday afternoon, in the two and half-hour rush-hour period from 4:30 p.m. to 7 p.m., as travel delays zoom to 2.3 times the normal levels on any given Thursday. Avoid heading out or hitting the highway when commuters mix with holiday travelers,” he said. Not even the highest gas prices in four years will keep drivers at home this year, the group predicts. “A strong economy and growing consumer confidence are giving Americans all the motivation they need to kick off what we expect to be a busy summer travel season with a Memorial Day getaway,” Bill Sutherland, senior vice president of AAA Travel and Publishing, said. The worst times to travel? If you’re one of the 36.6 million Americans predicted to hit the road this Memorial Day weekend, watch out for Thursday, May 24 and Friday, May 25. That is when INRIX, a global transportation analytics company, in collaboration with AAA, suspects there will be the greatest amount of congestion. Several major U.S. metro areas are facing the potential for double the traffic time. And New Yorkers could see their delays triple. Experts have some words of wisdom, however. “Our advice to drivers is to avoid peak commute times in major cities altogether — traveling late morning or early afternoon — or plan alternative routes,” said Graham Cookson, chief economist and head of research at INRIX. Gas prices this Memorial Day will be at their highest since 2014. They averaged $2.72 in April — an increase of 33 cents from 2017 due to expensive crude oil, record gasoline demand and shrinking global supply. But that is not expected to keep drivers at home. Automobile travel is predicted to increase for the fourth straight year by nearly 5 percent over last Memorial Day. Here’s one number nobody wants to contribute to: AAA expects they will rescue more than 340,000 motorists over the course of Memorial Day weekend. Dead batteries, lockouts and flat tires are predicted to be the leading reasons AAA members will experience car trouble. AAA recommends drivers get their battery tested, check for engine coolant leaks and examine the condition of their tires. Be sure to have your mobile phone charged and pack a flashlight with extra batteries, a first-aid kit, basic tool kit, bottled water and snacks. Be safe out there, road warriors.